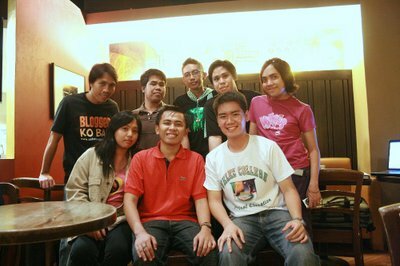 The Cebu Bloggers Society, headed by Kevin Ray N. Chua, met Nick of FilipinoVoices.com yesterday, November 22, 2008 at Bo’s Cafe, Ayala, around four in the afternoon. FilipinoVoices.com is a collaborative blog of Filipino bloggers which focuses on News, Politics, and Social Commentary. The main agenda of the meet-up was to discuss the participation of Cebu bloggers in terms of citizen journalism which focuses on Political and Social blogging. Through this, a movement can be formed where local based bloggers could become reliable sources when it comes to political and social awareness. Here is an excerpt of the copy of Overview and Responsibilities sheet handed by Nick to us during the meet up. The bloggers will be our correspondents, playing an important role in providing key insight, information, and analysis where they will most likely be informed that other bloggers and writers from outside of the area. Today is the beginning of The Cebu Bloggers’ participation in a grassroot movement that will take back our voice, and finally give back to the people, the power that is rightly theirs. Thus The Cebu bloggers will be crucial so that our readers will have a more updated, more in depth look on the issues that are facing Cebu specifically. Opinions, views, and analysis coming from not outside, but those who live and breathe Mindanao..
5. An in depth description of yourself to be featured on the About page so that readers will know more about you.